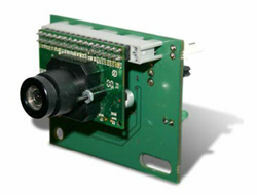 A real brain for your robot, the POB-Eye is a color camera mudule which allows you to do real time shapes recognition. With LEGO-POB-Bridge, you can interface with LEGO NXT. 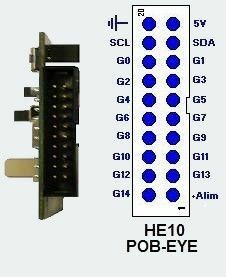 The POB-Eye is programmable in C, Java and Basic. An easy to use software SDK, with compilers and shapes recognition tools, is also provided. The POB-Eye is the heart of our modular architecture. More than giving a calculating power to your bot, which can mange the POB modules (for example), the POB-Eye has been designed to bring a real time color vision to your robot. Its technical capabilities allows to do real time shape recognition and driving all your robot pieces by the POB-Eye's Bus. The POB-EYE is provided with an easy to use SDK. 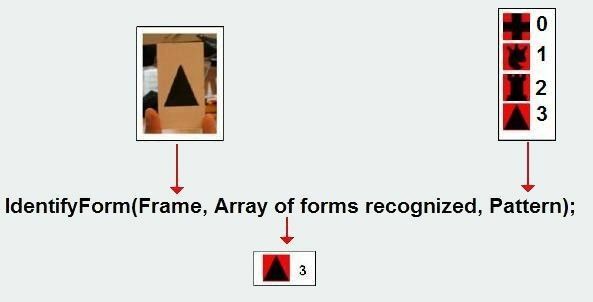 The user doesn't have to develop the shape recognition functions, the native function "IdentifyForm" allows to recognize the shapes in front of the camera. 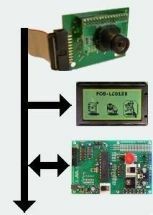 As well as a PC can do, with the I/O used as data and addresses bus, the POB-Eye can communicate with different devices (see POB-Proto, POB-LCD128, POB-Servo..). A complete documentation, illustrated with full examples helps the user's first implementations. patterns as well as directing the robot. Ground and the POBEYE power supply. than any serial protocol like the I2C bus. identify the patterns given in front of the camera. to the RGB, HSL and YUV components from the CMOS sensor. 1 Nap Cable for POB-Eye's Bus implementation.